New South Wales postal code 2166 includes the southwestern Sydney suburbs of Cabramatta, Canley Heights, Canley Vale, and Lansvale. 2166 is home to the largest Hoa Vietnamese population in Australia. Walk along Canley Vale Road or John Street and you’ll hear the tonal pitch of the Vietnamese language with some Cantonese, Lao and Thai occasionally mixed in as well. Aussies and other tourists will not likely recognize the languages being spoken, but foodies will salivate at the bubble tea and pho noodle shops on nearly every block in the business districts. Dining options in Canley Heights and Canley Vale tend to be more upscale than those in Cabramatta, although Cabramatta offers far more choices. The following is a list of places to try in Cabramatta, Canley Heights, and Canley Vale. At Pho Ann, less is more, with no paper menus and an alacrity of service that would be the envy of any fast food joint. The menus are displayed on the wall (one on each end of the restaurant), consisting of mostly pho with different cuts of beef and some chicken options as well. You’ll likely order pho, which will take longer to cool off than it will for it to show up at your table. 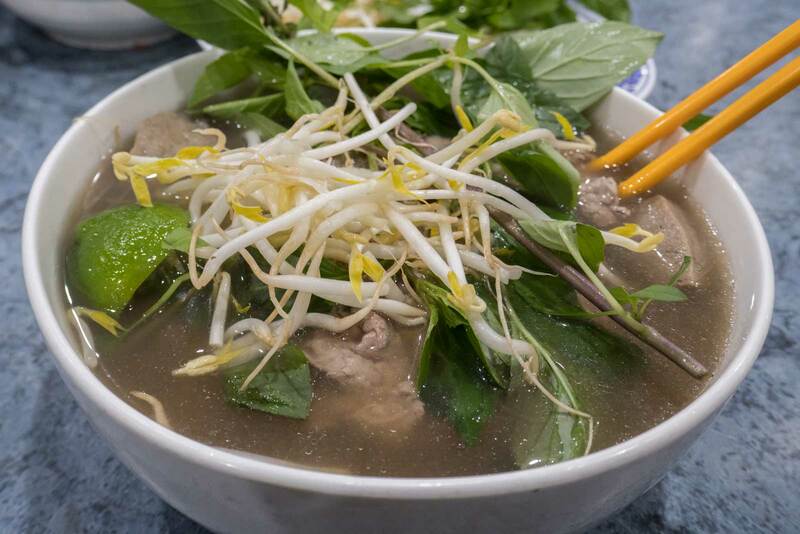 Pho Ann is conveniently located five minutes from the Cabramatta metro stop. If you’re coming from the metro station, you’ll have to ignore the dozens of bubble tea shops and other Vietnamese restaurants along the way. It’s tucked away in a tiny alleyway between John Street and Cabramatta Road, next to Battambang, which is a Khmer restaurant named after the Cambodian city/province. Most cafes and restaurants in Cabramatta close early, so it’s best to visit when you’re planning an early dinner. If you like pho and want to visit its birthplace, check out this post about how to spend three weeks in Vietnam. Lao food is not difficult to find in Sydney, but every Lao-owned restaurant seems to have Thai attached to it in both name and menu. The cuisines are very similar and you can get the best of both worlds at Holy Basil. All the usual Thai curries, as well as noodle and rice dishes, are available. If you’re looking for something more Lao, try some of the grilled dishes like Lao sausage or ox tongue. You can also try their beef jerky which is a common Lao snack. Going to a Lao restaurant without trying a salad is like skipping the pasta course at an Italian restaurant. The Lao papaya salad includes anchovies, but you can get more adventurous with chicken feet or beef tripe salad. If you’ve never had toasted rice, check out naem khao (toasted rice salad). If Asian desserts like mango sticky rice or the more adventurous durian rice pudding aren’t your thing, there’s a gelato shop next door. 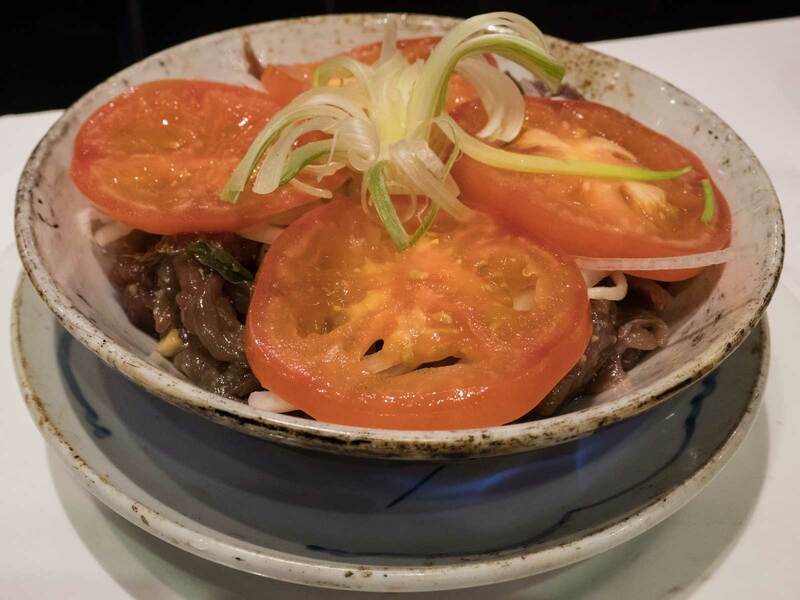 Bach Dang offers an extensive Vietnamese and Chinese menu in an upscale dining atmosphere. You can get pho, but with such an extensive menu, Bach Dang presents more of an opportunity to splurge. For example, you can get mud crab, lobster, beef of 7 kinds (which cooks at your table and comes with rice paper to make your own spring rolls), and even the controversial shark fin soup. If you’re feeling adventurous, try the durian smoothie. For those who aren’t familiar with durian, it’s an assault on taste buds, as well as your nostrils. In fact, it’s banned in most hotel rooms, even in the Southeast Asian countries where it’s grown. You’ll either love it or decide immediately that you never want to be within an arm’s length of the king of fruits again. The restaurant is conveniently located just a half block from the Canley Vale metro station off the T2 and T5 lines. This post was sponsored by Fairfield City Council. NextThailand’s Latest Super Food: What is Riceberry? I love trying out different Asian cuisines and it’s nice to know that there some good options in Sydney. I would love to try these places but I’m definitely going to pass on the durian pudding. Holy Basil’s food looks so amazing! I bet it is tasty too! I’m going back to Sydney later this year so I’ll make sure I’ll visit this restaurant! Yummy! Wow the food looks amazing! I wish I was there to enjoy it too. Yum! I love testing out new restaurants with an ethnic vibe. And everything looks absolutely delicious!! All these restaurants look amazing and food looks incredibly delicious! I have tried Thai, Chinese and Vietnamese cuisine but never got a chance to try Lao food. Maybe, now I will explore any Lao-food restaurant near my area soon! Ana, there’s a good Lao restaurant in D.C.! You have given me three more reasons to visit Sydney. Australia is on my bucket list but I suspect it will have to wait until retirement because there are so many places I want to see and even more that I want to eat at. All three of these places do sound amazing. But I really do love Pho. And so I would really love to try this out. Sounds so delicious. Will have to remember about these places when I finally make my way out to Sydney. Now I really want a Cambodian hot pot! Sydney itself is such a melting pot of chained. Oh how delicious does that all look! I’ve never had traditional Vietnamese food before, it looks so flavoursome! I love Vietnamese cuisine! More and more Vietnamese restaurants are popping up in my neighborhood and it’s made me so happy. That first bowl of pho looks to die for!